A Super shue will Level Up after Level 100. You will not be getting any Experiance of any sort from the Monster Kills or from the Passive Skills after Level 100. You will have to level up your Supershue by using Neryidars. Initially we have released leveling till Level 130. The leveling of the Elite Super Shue should be performed in 2 steps. Level 100-110 and Level 110-130. At Level 101, Your shue will have 3 Times Attack and 2 Times Defence. That means at Level 100, you have 200 Attack Power and 100 Defence, whereas at Level 101, you will be having 303 Attack and 202 Defence. This means you get more than a normal level for the shue. We have removed Neridyar G from the NPCs. You need to acquire it by Hunting alone. When you equippe an Elite Supershue, you could immediaetly notice the different in the Total Attack and Defence indicating that the effect of the Elite Super Shue is in place. The Maximum Vitality for the Elite Super Shue is Limited to 63 points after Level 100. Same goes with the Experiance of the Shue.  These are the Changes in the EXP rate of the Neryidars.